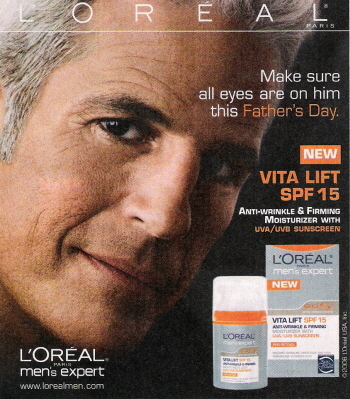 From the “Shameful Feminization of America’s Men” category, don’t get this for Dad, this Father’s Day . . . unless he’s a girlie man. Remember, men and moisturizer don’t mix. Neither do men and make-up. Unless your dad is Boy George. I hear George Clooney owns stock. My wife got me Ann Coulter’s new book. It’s really great to know I’m loved.